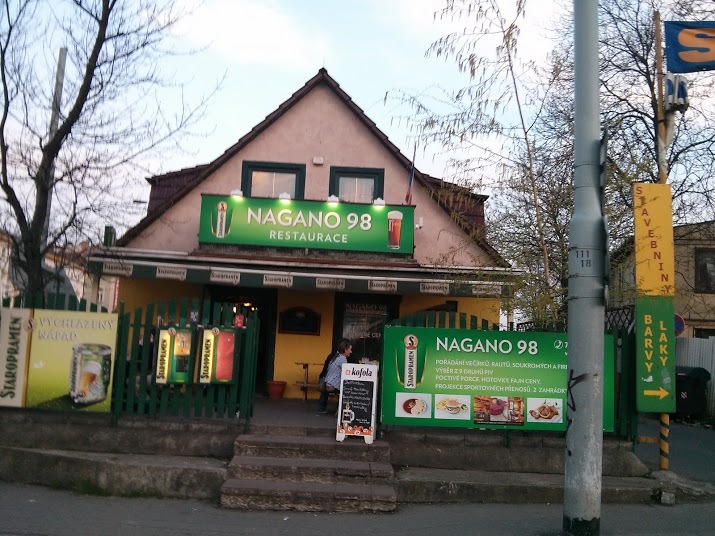 Watched the Barcelona v Bayern Champions League blowout in a bar titled Nagano 98 — a reference to the Czech National Team’s Ice Hockey gold at the 1998 Nagano Olympics. As you may have noticed, the Czechs are mad-crazy about hockey. I made friends with a group from Ostrava including former Bruins prospect David Hod’a (played for the Chilliwack Bruins in 2008). With the blowout, we drank too much Schnaps and stayed out too late. This entry was posted in Observation and tagged czech republic, hockey, schnaps on April 25, 2013 by papish.